Sarah Fritschner wrote a must-read piece this week titled “How Cheap Is That Chicken?” (If you aren’t familiar with the work of the brilliant Ms. Fritschner, you definitely should be. She is a leader in Kentucky’s local food movement, fighting the good fight every single day to change our cultural dining economy.) In her post on cheap chicken, she explains yet another way that our government subsidizes big agriculture—by providing federal assistance to underpaid employees. She show us new job positions opening up at a Kentucky chicken processing plant and how the wages for these jobs will put those employed below poverty level. These folks will qualify for food stamps, health care assistance, home energy assistance, etc. In other words, this company is able to operate at a profit because of the federal assistance its employees receive… rather than paying their laborers a fair and living wage. Often, we focus on the issues related to humane treatment of animals when it comes to commercially produced chicken. (By now, we’ve all seen Food, Inc. and were horrified at the scenes of commercial chicken production in this country.) 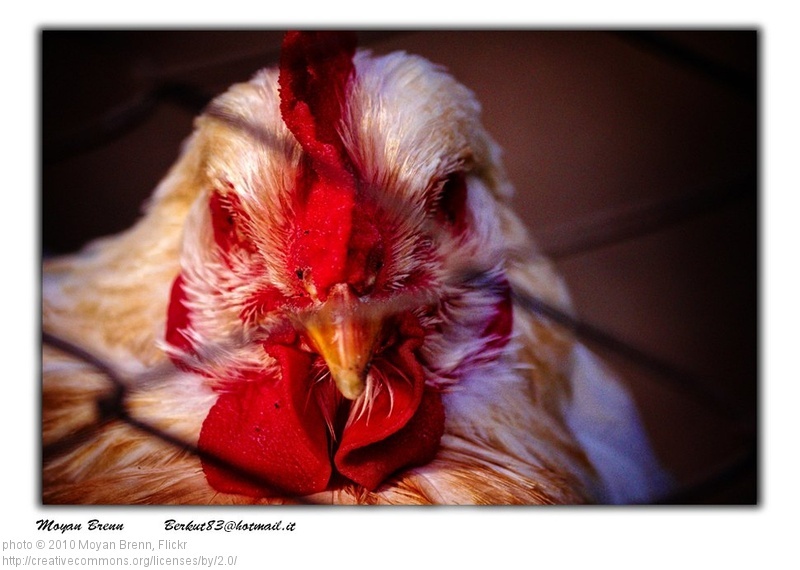 What we sometimes forget is that the chickens are not the only ones negatively impacted by big ag. Ms. Fritschner’s piece is an important reminder that we vote with our dollars to support a certain kind of system. Buying the cheaper chicken is feeding the profit margins of these companies. It is supporting a system where people are working hard but not earning enough pay to support their families. Not only that, but by taking business away from our small, local farms, we leave many sustainable farmers in poverty as well. Having a wide network of farming friends, I can tell you that many of them go without things that many of us consider necessities. They are uninsured in a line of work that carries with it inherent physical dangers. They cannot afford basic farm infrastructure improvements unless they are fortunate enough to get a grant—but many farm grants require that you pay the cost upfront only to be reimbursed months later. If you don’t have the money to pay first, the grant won’t help you anyway. Their vehicles are barely running… or not running, depending on what day of the week you talk with them. Unless they have other jobs off-farm or a working partner, nearly every sustainable farmer that I know falls well within federal poverty guidelines. If they buy food off-farm, it very likely will be purchased with food stamps. It’s not a topic that comes up often on this blog because farmers are a proud lot. In fact, more than once I’ve been asked to edit out their comments about living below poverty because they don’t want pity. They love their work and are not disturbed by the lifestyle they must live to enjoy it. When you buy produce grown internationally at the grocery, 5 cents on the dollar stays in the hands of the farmer that grew it. Buying produce from the U.S.A. at the grocery gives the farmer 20 cents of your dollar. When you buy from Grasshoppers and their unique CSA-type model, 63 cents of your dollar goes directly to the farmer! So, yes, there are some business models that are more beneficial to the farmer than others. But because the profit margins for our farming friends are so small, we must be sure that every one of our hard-earned dollars is going to benefit our local farms as much as it can. I hear frequently from folks who want to buy local but claim they can’t afford it. As a single mother who is technically “living in poverty” according to our dear government, I understand budget restrictions just as much as the next person. What I’ve learned however, is that the lower price of the cheaper chicken isn’t worth the environmental, societal, or nutritional costs no matter how much that 69-cents-per-pound roasting chicken calls out to me at the grocery. I would rather eat less meat so I can afford better quality. Americans waste 165 BILLION dollars—that’s 33 million tons—in food every year. I think it is safe to say that we could spend our food dollars more wisely and choose to support our local farmers even if the short-term price tag may be a little higher. Pay more, waste less should be our mantra when purchasing what goes into our bodies. ← previous post Real Food Challenge: Guess Who’s Coming for Dinner?